Swordtail fish are one of the most popular Livebearer fish. There are many different variations of Swordtails and comes in different colors such as orange, red, green, orange, yellow, and sometimes mixed with partial black. Swordtails are omnivores and should be fed both meat and a vegetable diet. 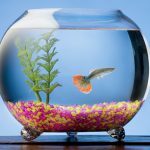 You can feed your Swordtails processed foods like flake and pellets as well as live or frozen dried foods such as Bloodworms, Brine Shrimp, Mosquito larvae, White Worms, etc. You can also try feeding them fresh vegetables such as tomatoes, spinach, lettuce, etc. 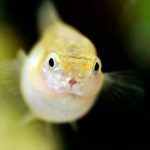 Make sure your aquarium tank has adequate space, female Swordtail’s can grow up to 6 inches (15cm) while males are a bit smaller, they can grow up to 5 inches (13 cm). A 20 gallons (76 L) or larger aquarium tank is recommended. 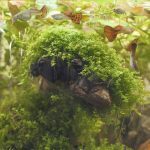 Add a secure cover for your aquarium tank since Swordtails are known jumpers. Even though Swordtails are peaceful fishes, try not keep two Swordtail males together as they are known to be territorial and will show aggressive behavior to demonstrate hierarchy when they’re in the same tank. If you do want more than one male Swordtail, then get several so they won’t concentrate each other. Experience Level: Beginner — Easy to care for, very hardy and undemanding. Easy to breed. Appearance: Elongated and slender fish. Females are slightly bigger than males. Size: Males grows up to 5 inches (13 cm), Females grows up to 6 inches (15 cm). Tank Region: Swims in the middle. Tank: At least 15 gallons (60 L), 20 gallons (76 L) or larger recommended. Aquarium tank cover is recommended. Food: Omnivore. 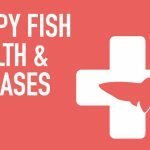 Eats fish pellets and flakes, vegetables, frozen dried and live foods. 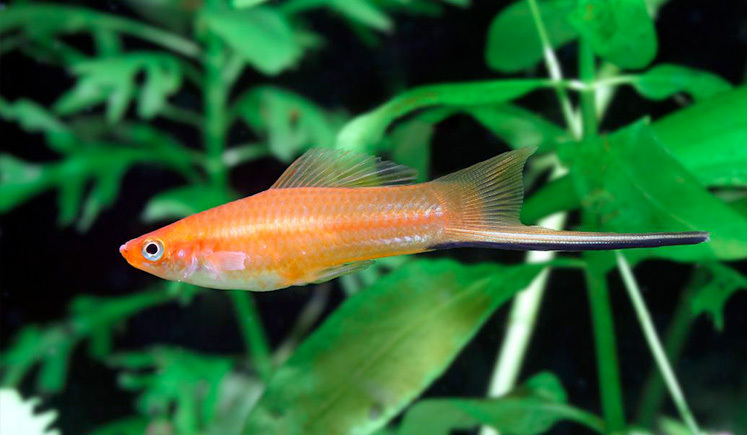 You can easily tell a Male Swordtails from a female Swordtail by their distinctive tail. That distinctive sword-like tail is also where their Swordtail name derived from. 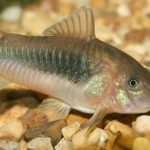 When breeding, a Swordtail fish can give birth to about 20-100 fry at a time. 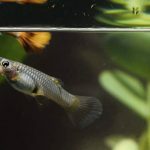 Swordtail can begin breeding as early as 3 months.